Sembcorp Marine (SMM) reported 4Q16 net profit of S$34.3m, reversing from a loss. Core net profit for 2016 was S$107m, in line with our expectations. No new contracts were announced for 4Q16, which points to a troubling earnings outlook should the drought continue. Net gearing was higher at 113%, but we are not overly concerned. Our 2017/18 earnings are revised by 2%/23% respectively. The hazy earnings outlook leaves SMM a trading play at best. 2016 net profit within expectations. Sembcorp Marine (SMM) reported headline net profit of S$34.3m for 4Q16 (4Q15: loss of S$536.9m) and S$78.8m for FY16 (FY15: loss of S$289.7m). Excluding several one-off items, including impairment losses for an available-for-sale financial asset, investment in associate, doubtful debt allowance, negative goodwill and forex/hedging items, core net profit was S$16m for 4Q16 (4Q15: loss of S$25.4m) and S$107m for 2016 (-61% yoy). Results represented 98% of our full-year estimate of S$109m, within expectations. The overall lower result was largely attributed to lower revenue recognition for rig building projects, offshore projects and repair business. Repair revenue for 4Q16 declined 31%. SMM repaired 90 vessels for 4Q16, lower than the 95 vessels repaired in 4Q15. Repair revenue per vessel was down 27% yoy, at S$1.22m per vessel, but 41% higher qoq. The qoq variance was attributed to the repair of yachts, which commanded a higher repair value. Management commented that the overall decline in revenue was due to clients continuing to conserve cash. Net debt rose to 113%. Net gearing rose to 113% for 2016, from 103% in 2015, contrary to our expectations of a decline to 95%. Total debt was higher at S$4.2b, from S$3.4b in 2015, resulting in a 89.5% yoy increase in interest expense for 2016. 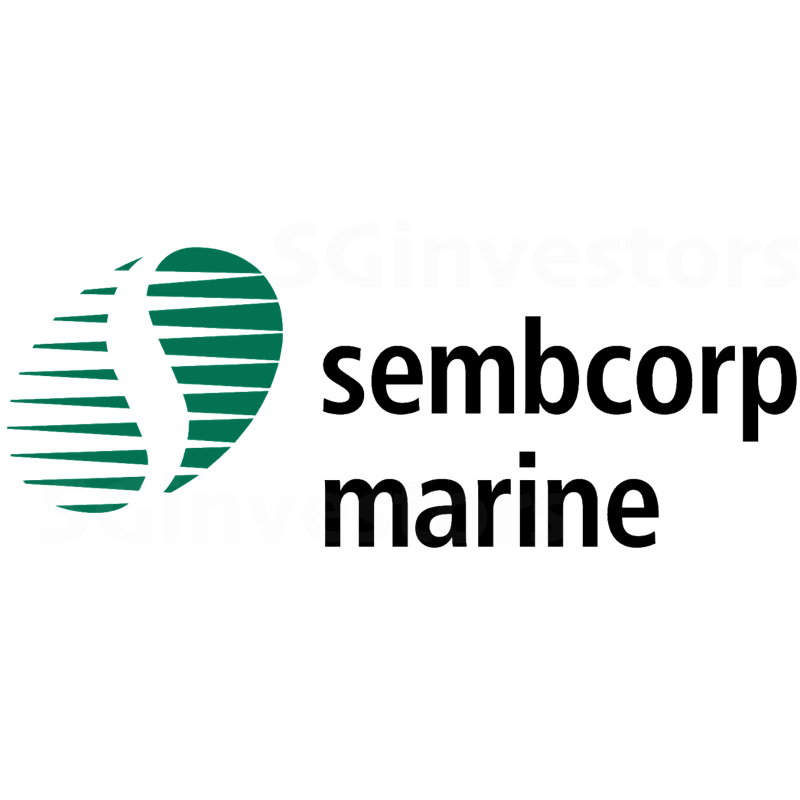 The rise in net gearing was attributed to investments of S$227m in key technology companies and remaining shares in a subsidiary. No new contracts awarded for 4Q16. Contract wins for 2016 was S$320m. Net orderbook excluding Sete Brasil orders stood at S$4.7b, vs S$5.2b in 3Q16. Divestment of COSCO to be recognised in 1Q17. SMM will be recognising the S$48.3m gain from the divestment in 1Q17, along with cash inflow of S$220.7m. Final dividend of 1 S cent paid. A final dividend of 1 S cent per share was declared, payable 13 May 17. Total dividend for FY16 was 2.5 S cents, in line with our estimate of 2.5 S cents. Earnings appear to have bottomed out; lack of contract wins worrisome. SMM’s earnings appear to have bottomed out. Based on our understanding with management, asset impairment risks seem unlikely. It would appear the worst may be over, but we are worried about the lack of contract wins. The impact of contract wins in a year usually materialises in the next year. Therefore, if no order wins are secured soon, 2017 earnings will start feeling the impact of the low 2016 contract win as the orderbook depletes. SMM needs to win contracts soon, and in a huge way if it is to maintain current level of profitability. Not overly concerned on stretched balance sheet. SMM’s higher debt level is also part of its strategy to have a cash war chest for acquisitions that would enhance its capabilities to secure orders. Net debt repayment for the period was thus lower than our expectations. We are optimistic that despite the elevated levels, it is unlikely to be stretched further. Most of its current projects are on milestone payments with reputable clients, so there should be no mismatch in cash flows that will cause gearing to rise significantly. Revise core earnings forecasts for 2017-18 to S$118m and 123m. We have adjusted our 2017 and 2018 core earnings forecasts to S$118m (-2%) and S$123m (-23%) respectively. Our contract win assumptions for both years remain unchanged at S$2b p.a. Introduce 2019 earnings of S$130m. We introduce our 2019 earnings forecasts at S$130m on a contract win assumption of S$3b for the year. Maintain HOLD and target price of S$1.61. Earnings appeared to have bottomed out but the discernible lack of contract wins poses a threat to our earnings outlook on SMM. The higher oil price environment has seen a resurgence in interest for newbuild orders in the production space. However, actual orders remain elusive, and will likely see crimped margins given the fierce competition for orders. The earnings outlook remains hazy, and valuations remain rich. Our target price is based on 1.2x 2017F P/B, derived on a P/B vs ROE relationship for large-cap shipyards. The stock remains a trading play to us at best. Contract wins remain low, impacting earnings outlook.